Why do people go on wellness retreats? Getting away from it all to a fresh and beautiful setting can be used to break bad habits, create an intentional turning point in your life, give yourself a taste for new patterns, and use time out from stressors to reevaluate your values and lifestyle. I consider retreating to be a very intentional ‘destination detox’ for all levels of your being. Of course your experience might be different – it really depends what you’re seeking. If greater wellness in any dimension of life, but especially areas such as exercise, eating and stress management, are part of your vision, perhaps a destination retreat is just the thing to support your wellbeing. Try this exercise: Cast your mind back through your life story. When did you feel really well? Was there a phase or phases of ‘peak’ performance? Don’t limit yourself to just fitness or health, consider your inner goals and contentment too. When you find those times in life when you felt truly well, what was happening? Are there elements from those times you could revisit or increase to enhance your health and happiness today? For me, big transitions like pregnancies, the births of my children, their major developmental milestones, moving house and completing studies, have all coincided with my ‘best self’ lifestyle habits. An example is that when I finished breastfeeding my youngest, and he was sleeping reasonably well in his own bed, I started attending early morning Mysore yoga practice. When he went to half day kindy, I was able to run (without the pram which felt liberating!!) along the coast, have a slow, mindful coffee watching the sea, and then spend the rest of the day focused on family life. Major changes have also brought shifts in my food prep and eating habits. Although I’ve been a vocal advocate for a ‘non-diet’ approach to nutrition since my teens, I’ve still had phases where I had energy to try new recipes, and experiment with trends like raw food and juicing. In this transition times I’ve been inspired to break some less than helpful habits, drop some ‘discretionary extra’ and tweak my eating patterns for optimal plant based energy and enjoyment. In fact, the biggest dietary shift of my life coincided with a major life change. When I went to boarding school for year 11 and 12, I was a keen athlete, and wanted to live a super healthy lifestyle to support my competitive running. If you’ve ever tried boarding school food, you might empathise – I wasn’t too thrilled with the overcooked mush I was offered. Partly due to a growing environmental and ethical awareness, as well as for my health, I became a vegetarian at 16. The high veggie intake served me well, and 25 years later I’m still a devoted vego. Despite sounding like a disciplined young person, I didn’t always make healthy choices. Like many young adults at that time (I’m blaming the ’90’s but really it was the norm even though we all knew better), I thought I was a ‘social smoker’. the true extent of my addiction to tobacco showed up when I went on a meditation retreat. Those few days of intense suffering have no doubt saved me years of ill health. It was a break away from normal triggers, coupled with the detachment i was learning, the shift away from answering to every urge, that gave me the freedom to choose my lifestyle afresh. So while I like to think that anyone can implement new ideas that boost health anytime, the reality is that change takes energy. My experience has shown me that stepping out of routine, getting a change of scene, and opening up to new experiences has been the catalyst for changes that stick. That’s why I personally believe in the power of wellness retreats. But don’t take my n=1 as a fact. Check out what research has to say about such things. Turns out the benefits of wellness retreats really do last! Professor Marc Cohen led an observational study seeking to test this theory. His team asked the question, ‘do wellness tourists get well?’. To find out, they administered a series of tests and self report questionnaires before, after and six weeks later to 37 wellness retreat participants. Like many such retreats, people stayed in an aesthetically pleasing natural setting, and participated in a range of wellness activities. 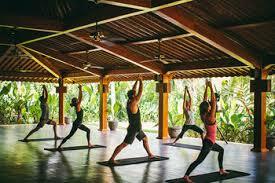 There were active exercise classes, and more restorative yoga and similar mind body practices. Along with yoga and meditation, there was also ample time given to rest, reflect and receive spa treatments. Meals were freshly prepared and predominantly plant based, and a culture of slow, mindful connection was encouraged. Optional activities also included instructional, educational and motivational presentations. Participants had their anthropometric measurements taken, were tested for cognitive function, urinary pesticide metabolite levels, and answered questionnaires including the 98 question Five Factor Wellness Inventory, a basic food questionnaire, DASS (depression anxiety stress scale), POMS (mood states) and self efficacy. Over just a one week retreat, statistically significant changes in most of these measures were reported. It’s most telling to note that six weeks later, the changes were sustained. Waist measurements (a better indicator of health risk than weight) and blood pressure moved towards improved health. Pesticide metabolites were undetectable after the retreat. People actually experienced a measurable detox effect! Psychological and health symptom improvements were also significant. (Cohen et al, 2017). This all supports my own experiential understanding of making lifestyle changes that stick. The key things I think we need are: a change in routine, a lower level of stressors, the beauty of natural environments, supportive professionals, opportunities for movement, rest and reflection, some form of education or philosophy to inspire inner shifts, and delicious plant based foods to nourish cells and feed our taste for nutrient dense meals. That’s why when I put together a retreat, I try to get all these ingredients in the right mix. This year, in collaboration with Dr Jean Byrne and Amy Cleghorn, I offer you the Bliss in Bali retreat from August 5 -9. We’ve brought together all the elements needed for a truly rejuvenation reminder of your wellbeing, and an opportunity to make lasting shifts by getting away from it all and starting afresh. At the incredibly beautiful, thoughtfully designed Komune resort on Bali’s stunning east coast, you will have a beautiful modern resort room set in lush Indonesian gardens, where organic food is grown and used in the kitchens of the two outstanding restaurants, daily yoga, swimming pools, time to relax in your own way, connect with other retreaters, and participate in evening meditation and philosophy talks. We won’t ask you to undergo testing, just come along and enjoy a wellness retreat designed to boost your health and happiness sustainably.